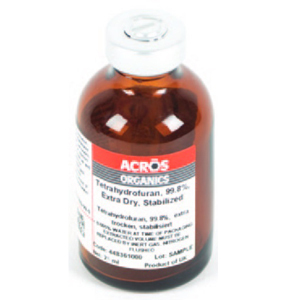 pack sizes, including the new 25mL AcroSeal packaging size Designed for your convenience, the 25mL pack size meets your needs for applications where small research-scale quantities of extra dry solvents are required. The new 25mL packaging expands our AcroSeal portfolio to better meet your chemistry needs. For a full list of all the AcroSeal products available in 25mL packaging see pages 5-7.